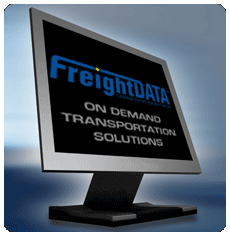 FreightDATA Software, Inc. has been providing software solutions to the transportation industry since 1984. Our mission is to provide the most comprehensive and cost effective transportation management solutions (TMS) to the small and medium size companies with features previously available only to the largest enterprises while maintaining the highest level of customer satisfaction possible. Our vision is to continue to grow our company through quality products, service and partnerships. We have strategic partnerships with such companies as PC*Miler, IBM, Descartes, Paperwise, Kleinschmidt, Sterling and more. We are currently in negotiations with several other leading hardware, software and services organization’s to extend our product offerings to our current and future customers. What are your current annual revenues? FreightDATA Software is a privately held corporation. As mentioned, FreightDATA Software plans on continued growth through developing quality products, excellent service and support to current and prospective customers and enhancing its relationships with business partners that provide value to us and our customers. Are your systems Unix or Microsoft based? FreightDATA Software programs are primarily run on Unix-based platforms, with the exceptions of our Web and Image based products. This decision was based on the reliability, scalability and availability of Unix based systems (AIX, Linux, HP-UX and Solaris, for example) versus Microsoft Windows platforms. Do you have any migration plans to any other platforms? As our systems are already Unix compliant, therefore conform to an "open database architecture". We will continue to explore making our applications available on other platforms, databases, programs and technologies where appropriate based on industry and user demands. Do you have a steering committee or a User Group? FreightDATA Software currently has Customer Advisory Committees to assist in providing industry information and product development and feedback. These committees represent the industry and customer demands of the LTL/TL and Intermodal/Drayage communities and meet annually at an off-site location. How many customer service representatives are on staff? There are 5 dedicated Level 1 representatives in our customer service department. However, for elevated customer issues, we have Level 2 and Level 3 support personnel available. FreightDATA Software is 24 x 7. Office hours are from 7:30 am to 6:00 pm, Monday-Thursday, 7:30 am to 5:00 pm Fridays with cellular and paging support on evenings and weekends. Do you track and measure customer call and trouble ticket information? Yes. All customer service calls are given a trouble ticket number to track calls to customer service. These calls are assigned a priority rating and categorized to track customer, contact, time of call, category of issue and length of time to resolve. This information is analyzed monthly to determine any patterns and initiate proactive measures to avoid any future issues. Do you have a disaster recovery/security plan in place? Yes. First, all of our main servers are backed up each night. Our source code is located in a safety deposit box in a separate off-site location. Does your system have an integrated Operations and Accounting System? Does your system have search capabilities? Does your system have Auto-rating and Auto-billing capabilities? Does your system provide accessorial charges? Does your system handle mass pricing edits? Does your system have a quote tool? Does your system have alarms, reminders and notification features? Can we use our current Freight Bills and pre-printed documents? Does your system support Interlines and D83 Splits? Does your system offer sales commission tools and reports? Does your system have general performance and financial reports and tools? Do you offer solutions for Web Tracing, Imaging, Wireless, EDI, Barcoding, etc? Can our remote users access your system? Can your system be customized to meet our needs? Does your system have user administration and security features? Do you have user audit capabilities?